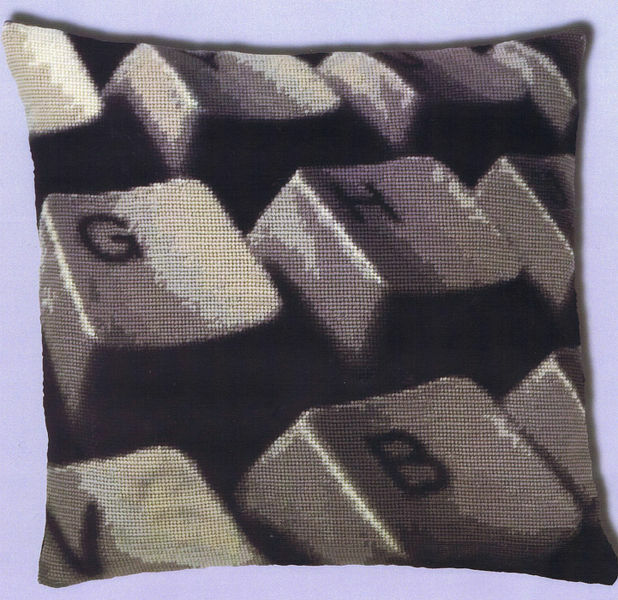 A striking cushion front of an enlarged section of a digital keyboard. The kit has a large scale black and white chart, printed 10 stitches to an inch on two A3 sheets. The pattern is worked in half cross stitch using 11 shades of wool on a stitch count of 160 by 160. This design is NOT printed on the canvas but is counted from the chart.